Over 250 companies applied to IH2O's 10th annual accelerator. Meet the 13 selected entrepreneurs joining IH2O's 2019 Accelerator. Join us for a first-hand look at what's next in water! Imagine H2O is a 501(c)(3) nonprofit organization dedicated to empowering people to deploy and develop innovation to solve water challenges globally. Since launching its inaugural innovation challenge in 2009, Imagine H2O's Accelerator has supported over 100 startups and built a global ecosystem for entrepreneurship and innovation. 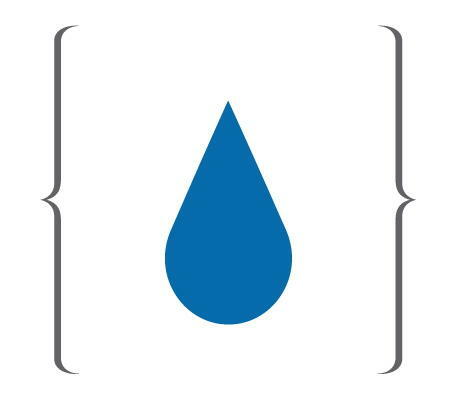 120WaterAudit (Zionsville, IN— USA) 120WaterAudit is a cloud-based software and managed services company that helps customers plan, manage and execute water quality and infrastructure programs at the point of use. Their approach helps government agencies, water utilities and facilities execute cost-efficient programs that scale and meet current and future regulatory compliance. Aquafortus (Auckland, New Zealand) Aquafortus has developed a novel and proprietary, non-thermal, continuous and fully regenerable zero liquid discharge technology. The two-stage direct contact solvent exchange process achieves crystallization of salts and recovery of clean water for 60% less operating costs than current high salinity treatment solutions, resulting in a low-cost, true zero liquid discharge system. Altered (Stockholm, Sweden) The world’s only Dual Flow atomizer/spray nozzle that has the potential to radically reduce water use. Atomization reduces water use by 98%, with full functionality. Dual flow modes means no inconvenience for filling glasses or for cooking. The product is easily retrofitted in most existing faucets in the world. Infinite Cooling (Cambridge, MA — USA) Power plants are one of the largest users of water in the US, and most of it is used for cooling. Infinite Cooling have developed a technology that uses electric fields to recover water from the evaporative losses of cooling towers so that the same water can be used again and again.There is no upfront charge to clients, and the addressable market is in excess of $20B. Noria (Los Angeles, CA — USA) Membrane treatment technology is limited by fouling/scaling on the membrane surface, which reduces recovery rates, increases energy usage, and raises operating costs. Noria’s Membrane Monitor (MeMo) visualizes and analyzes membrane surfaces in real-time and enables adaptive plant control, allowing for high-recovery of 85–95%, chemical use and energy reduction of 30–50%, and annual cost savings of up to 30%. Orb (San Francisco, CA — USA) The Orb handheld molecular scanner radically changes the time and cost of detecting pathogens and contaminants in water and on surfaces. With instant results and ease of use, Orb can detect pathogens including E. coli, Salmonella, Staphylococcus aureus, Giardia, Cryptosporidium, Listeria and many others. PowerTech Water (Lexington, KY — USA) PowerTech Water (PTW) manufactures and sells capacitive coagulation (CapCo™) modules to remove toxic metals from industrial waste waters, a $48 billion opportunity. The CapCo™ modules are carbon-based electrochemical filters that use small voltages (< 2V) in an active filtration process to target metals with > 99% selectivity. The technology does not produce a byproduct and has near 100% water recovery, yielding cost reductions of up to 95%. SenZ2 BV (Waalwijk, Netherlands) Water and wastewater levels can be measured more accurately, reliably and cost-efficiently by using radar instead of pressure sensors. SenZ2 has created the first wireless radar level sensor. Without the need for any supporting infrastructure, the sensor can monitor water and waste water levels for 5 years, with zero maintenance and minimal installation costs. SwiftComply (Pleasanton, CA — USA) SwiftComply helps cities deal with the problem of fat, oil & grease (FOG) blocking their sewer systems. Their platform allows clients to report compliance around FOG discharge to their city in real-time. SwiftComply helps them stay in compliance by identifying and providing access to the services they need from local vendors. WateROAM (Singapore) 2bn people in developing regions are still drinking fecally contaminated water daily, causing them chronic diarrhea and serious waterborne illnesses. WateROAM has developed a portable water filter that provides potable water for 100 people, without relying on electricity. The product is far more cost-effective, quick to deploy, and easier to maintain than existing solutions. Water Warriors (Cincinnati, OH — USA) Water Warriors is the first no-expansion-needed solution for wastewater treatment plants fighting the losing battle of removing nitrogen and phosphorous from water. The solutions increase biological activity within existing lagoons or basins to remove these pollutants and meet regulations without expensive capacity additions. Zilper Trenchless (Boston, MA — USA) Zilper Trenchless create cost-efficient equipment using new technologies that significantly reduce the cost of underground piping infrastructure. Their lead product uses proprietary technology to install or replace pipelines without digging a trench, reducing disruption to surface traffic and regulatory challenges while achieving 30%+ project savings. ZwitterCo (Somerville, MA — USA) Removing organics from industrial wastewater is an operator’s biggest daily challenge. Although today’s membranes efficiently separate organics, organic fouling can triple their operating costs, rendering these systems unfeasible for recycling purposes. ZwitterCo’s nanofiltration membranes are immune to organic fouling, making wastewater recycling profitable.